This is DJ Tyson’s motto for years. Words which soon suited action. 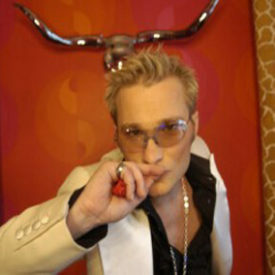 For the project Kosmonova – DJ Tyson’s second identity – he produced nine singles each of which stormed the charts. An amazing result! It all started with the single Raumpatrouille in 1996. Club anthems such as Ayla , Take Me Away and Celebrate followed. For the single Singing In My Mind Tyson collaborated with Tania Evans, the voice of Culture Beat. This song advanced – within short time – to become THE German Dance-record in Europe. In 1998 the first DJ Kosmonova album Supernova had been released. Dance Avec Moi was Tyson’s final break through. This single was Top 10 almost all over Europe. Songs as Discover The World , The Daydream and the burner Acid Folk 2000 followed. Meanwhile Tyson was in such great demand that he was touring all around the globe. Due to the change of the trance scene musical ambience also altered. Tyson took to house beats and was desperate to produce a song of this music style. The thought – to cover the legendary all-time favourate California Dreamin’ by The Mamas & The Papas – haunted his mind for days. No sooner said than done! In January 2004 the remake had been sampled by German DJs. 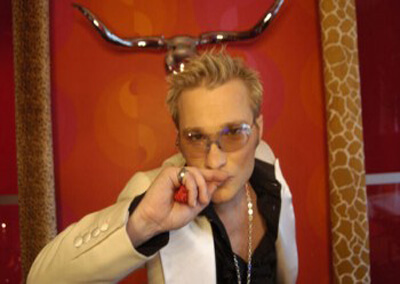 Soon the new Tyson project – Royal Gigolos – topped the charts with their version of California Dreamin . It became #1 in almost all German Dance charts. In only four weeks record labels for the debut single had been found and signed in every country music is released. In more than 20 countries California Dreamin took the charts by storm! The album Music Deluxe was soon to come. The Royals were hardly beatable in the field of dance. All in all they’ve sold more than 100.000 units. Everbody was craving seeing the Royal Gigolos. Thus DJ Tyson once again toured at all continents. Performing venues in Mexico, Russia, Hungary and even Kazakhstan meant no rarity. Also regarding the successor No milk today Tyson had the right touch. This song again hitted the Top 5 of the Dance charts worldwide! The next singles were Self Control and Somebody’s Watching Me . What the future will bring along for DJ Tyson is, of course, still written in the stars. But present earthly is the latest production Tell it to my heart . The top hit by Taylor Dayne is much promising. Currently the Royals are working on their second album as well as their new single. DJ Tyson is also working on solo projects: Both tracks YMCA and Black Betty were sold out just within a few days and had to be repressed. DJ Tyson’s new achievement: Royal Deejays. This name stands for a pure club project. In comparison to the Live Act Royal Gigolos, which is partly consisting of nine performers on stage, Royal Deejays are touring as mix masters behind the turntables.